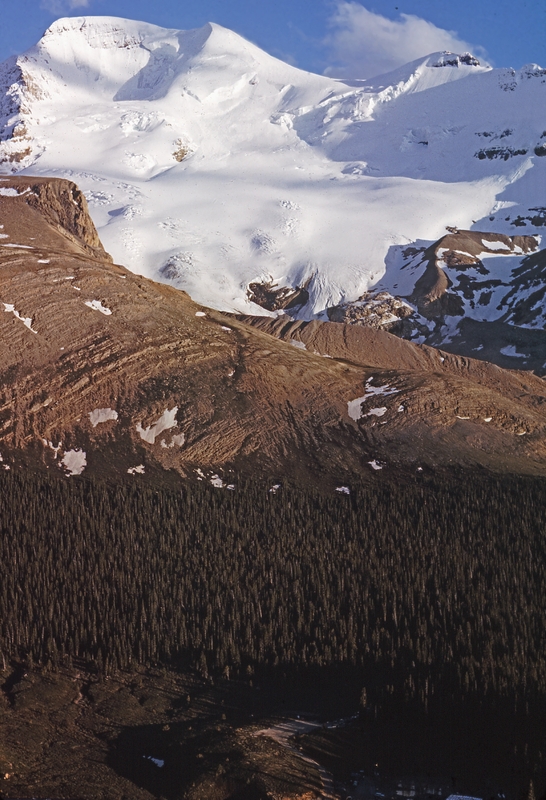 My uncle responded to An Ode to the Seven, which also features a photograph of Mount Athabasca, with two photographs he’d shot of the mountain showing the receding glacier. The first, taken in 1966, shows a mountainside brimming with ice. The second, taken nearly twenty years later in 1985, shows a retreat well underway. With this one, taken thirty-two years later in 2017, you can really see just how much global warming has affected this glacier in Jasper National Park, at the edge of the vast Columbia Icefield. I took this photograph on a day when the atmosphere was thick with wildfire smoke. (It took a fair bit of filtering in Lightroom and Photoshop to get what little clarity there is in this image.) The smoke had sifted through the British Columbia Rocky Mountains into Alberta from the record setting forest fires that year. Among the many challenges facing us in the effort to reverse the pattern of global warming is the increasing number and intensity of forest fires around the world. Trees are, of course, performing a significant role in filtering carbon from the atmosphere. The fires at once release enormous quantities of carbon back into the atmosphere while reducing the number of trees able to absorb it. I would love to see those 3 photos to get a visual on the effects of the climate change. I’m away a lot, had to catch up! 😊 Patrick, I relate to your work very much. Very soulful, and nicely done! Thank you so much, Myth*. ❤ to you!